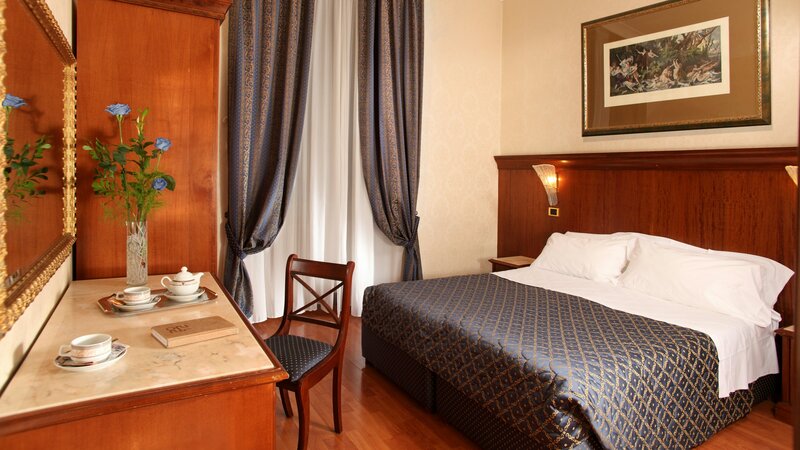 Hotel Serena is a beautiful hotel in the center of Rome in a strategic position, thanks to the nearby Termini station, to reach the monuments and the most important attractions of Rome in addition to the most famous shopping areas of the city. 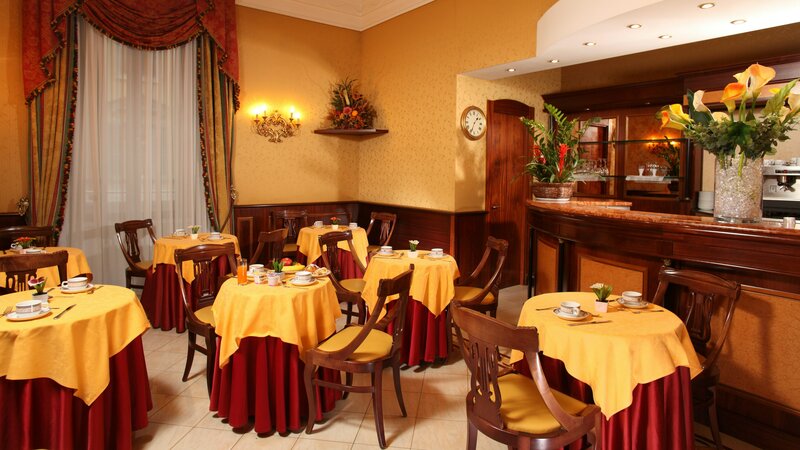 Recently renovated the Hotel Serena offers a living cheap but at the same time equipped with all the comforts for the tourist or for the business traveler and the host guarantees the care and privacy that only our staff can guarantee. 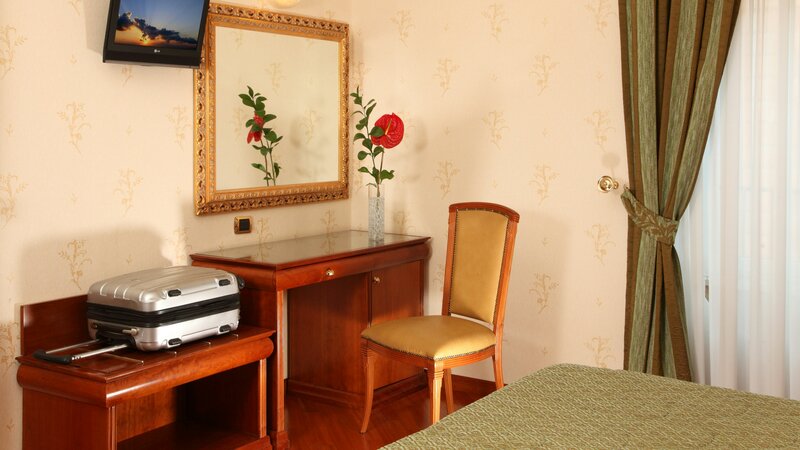 To experience the true Roman hospitality our staff will always be at your disposal to help you have the best solution, the advice and information you need for your perfect holiday. 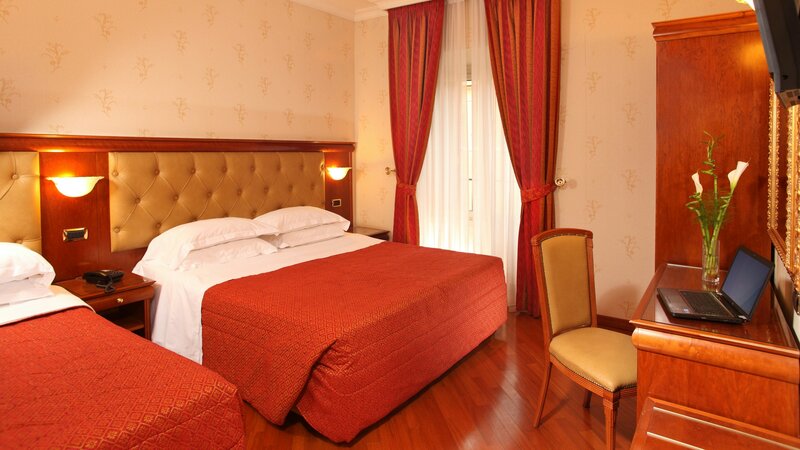 All rooms have air conditioning, color TV, satellite TV, mini-bar, direct dial phone and safe. 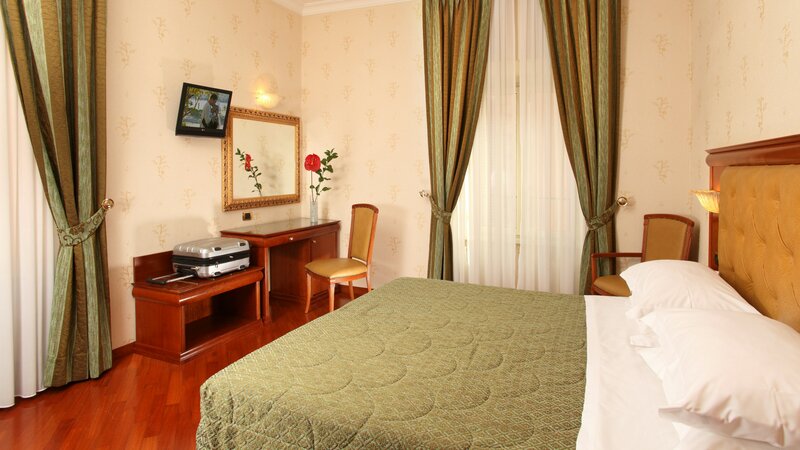 All rooms have an elegant private bathroom with shower or bath and, on request, with Jacuzzi. 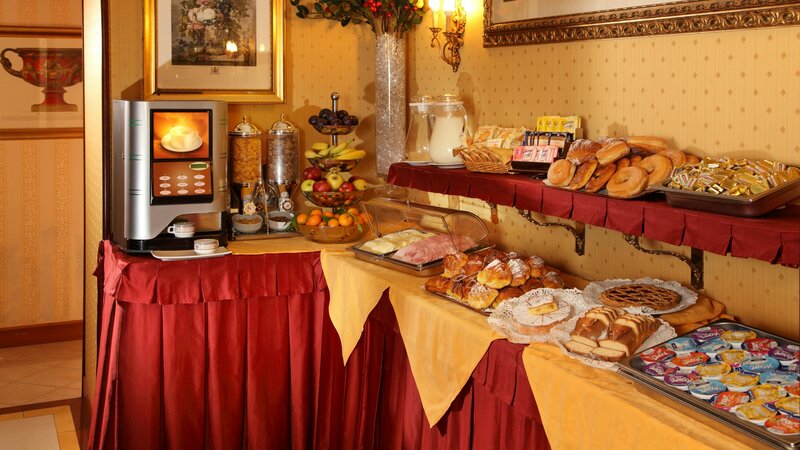 The breakfast buffet is served in an elegant room, whose decor is inspired by the Empire style. 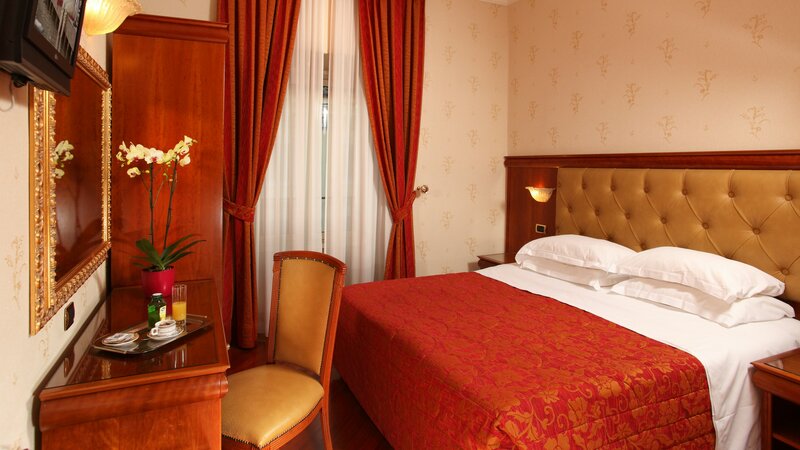 Book rooms at great rates! 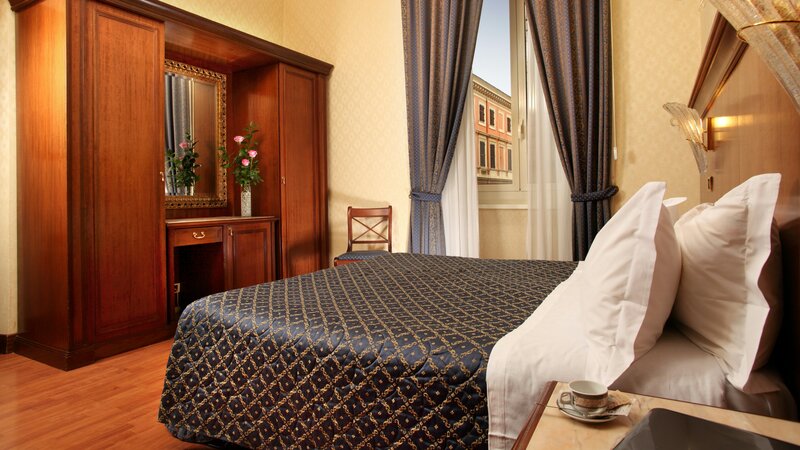 A central location to reach all the beauties of Rome!